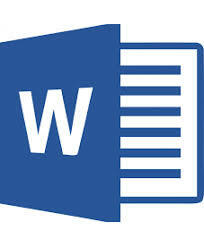 This course is for those who want to gain a level two understanding of Microsoft Office Word 2013. Kathleen earned her Bachelor of Science degree in Management Information Systems from the University of Dayton. At Andersen Consulting she worked in all phases of the systems development life cycle for custom systems development (define user requirements, system design, detail design, programming, testing, implementation, post implementation support) for both government and industry clients. She transitioned to the engagement management practice and worked in the area of project financial control (financial analysis/reporting). She is a longtime volunteer for local schools in the areas of database management & financial control. She currently is a Microsoft Office trainer for Omnicom Solutions Group. Registration limited to 15, so register now! You must register to attend. If you must cancel, please notify MVCC five business days prior to the day of training, otherwise your city will be charged the training fee.